The Centre's month-long suspension of operations against militants in Jammu and Kashmir is about to come to an end on Friday, on the eve of Eid, and while a few security agencies say the ceasefire has helped militants regroup, some within the home ministry are in favour of an extension with a rider that intelligence-based operations should increase, officials said on Thursday. 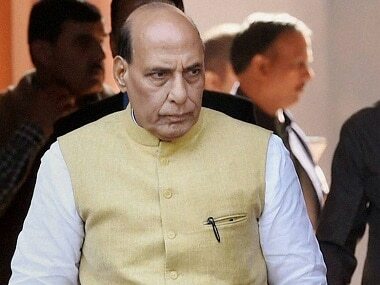 At a meeting called by Union home minister Rajnath Singh on Thursday to review security for the forthcoming Amarnath Yatra, the pros and cons of the ceasefire during the holy month of Ramzan were discussed with officials from central and state governments, security agencies and paramilitary forces. At the meeting, the security agencies mentioned that the ceasefire gave militants the opportunity to regroup, move more freely and convince youngsters to join them. 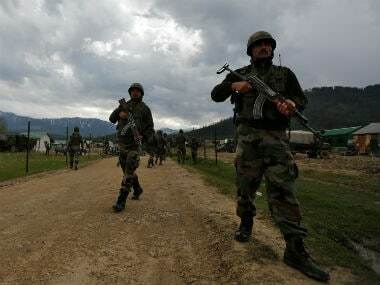 The increase in attacks on security forces, including Thursday's kidnapping of an army man from south Kashmir, may embolden them more, thereby creating a threat to the forthcoming Amarnath Yatra, since some militant groups, including JK-ISIS as well as Gazwat-ul-Hind, a group owing allegiance to Al-Qaeda, have rejected the Ramzan ceasefire, it was discussed. Policymakers in the home ministry, however, are still debating the gains and losses of the move and advocated extending it with a rider that the army and security personnel be allowed to carry out intelligence-based operations more frequently even in civilian areas, they said. The officials said a need for carrying out sanitisation of the route to the Amarnath Yatra was also discussed, so that the security forces gain an upper hand during the two-month long pilgrimage that begins on 28 June. The Centre's move is similar to the Non-Initiation of Combat Operations (NICO) announced by the NDA government led by Atal Bihari Vajpayee, during Ramzan in 2000. During his Independence Day address in 2017, Prime Minister Narendra Modi had said bullets or abuses would not resolve the Kashmir issue and that it will be addressed only by embracing every Kashmiri. Modi had said his government was committed to restoring the lost glory of Kashmir and its status as "heaven on earth". The prime minister had said only a "handful of separatists" were resorting to different tactics to create problems in the state and asserted that there would be no soft approach towards terrorism. In 2000, the Vajpayee government had taken a similar initiative by announcing a unilateral suspension of operations for Jammu and Kashmir during the month of Ramzan. Back then, the ceasefire continued for five months, although almost all the terrorist groups operating in the Valley had rejected the government's offer. However, the NICO was discontinued after five months of sustained violence, including an attack at the Srinagar airport in which six militants belonging to Lashkar-e-Taiba stormed the building, killing two security personnel and two civilians. All six militants were also killed in the retaliatory firing. The Valley has witnessed the killing of over 55 militants this year including at least 27 locals. Nearly 80 incidents of violence have occurred in the last four months and civilians are often seen coming out to encounter sites to stage protests with the intention of giving the militants an opportunity to escape. Union minister Jitendra Singh said on Thursday that a wrong message had gone out to the people that the BJP government was "going soft" on the Kashmir issue and asserted it would make no compromise "as far as terrorism and the sovereignty of the country is concerned". He added that the home ministry would take a final call on extending the Ramzan ceasefire after discussing it with the security agencies concerned. "Unfortunately, a message has gone out that the BJP (government) is soft (on Kashmir). In the days to come, you will realise that it has been undone. Certainly, there is going to be no compromise as far as terrorism and assault on the sovereignty of the country is concerned," he told reporters in Jammu. He added that it wasn't a ceasefire, but a "suspension of operations". 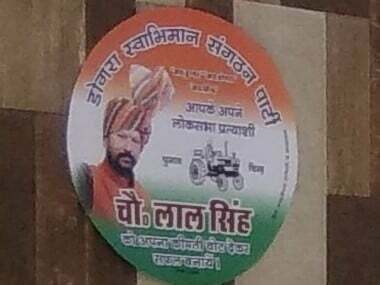 Asked if the Centre would extend the suspension, he said the final decision would be taken by the Ministry of Home Affairs after a discussion with the security agencies concerned. "There will be no soft approach in dealing with terrorists. We have strategies in place," he said in response to another question. On a query regarding the UN report on alleged human rights violations in Kashmir, he said the issue ends with the 1994 resolution which was unanimously passed by Parliament and was also endorsed by all political parties. If there is any outstanding issue between India and Pakistan as far as Jammu and Kashmir is concerned, it is only about retrieving the part of Kashmir that is under the illegal occupation of Pakistan, he said. However, National Security Advisor Ajit Doval indicated that it will be status quo once Ramzan is over. "We wanted to give respite to the common man in the Valley during Ramzan, so they can observe the holy month peacefully. And during Ramzan, we stuck to our stance. 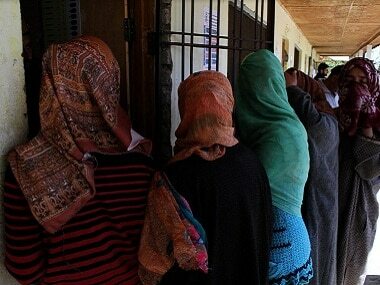 The people there are happy and the purpose is served," Doval told NDTV. 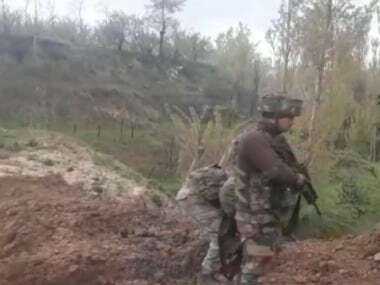 According to the NDTV report, the data collected by the home ministry indicates that terror-related incidents in the Kashmir Valley increased by more than 100 percent during Ramzan. Before the ceasefire was announced — 19 April to 16 May — only 25 terror-related cases were reported. But after the announcement, 66 cases were reported between 17 May and 13 June. Even attacks on civilians grew in number. Seven cases of attacks on civilians were reported during the 28 days of Ramzan. In the 28 days before the ceasefire, the figure was only six, the report stated. However, the state government remains in favour of an extension, while Chief of Army Staff Bipin Rawat too hinted at the same recently in an interview with The Economic Times. when he said, "Talks must happen. The issue is that a lot of locals are joining militancy. We kill them and more would join. Infiltration can be controlled, but this cycle of recruitment of local youth can go on and on. So let's give peace a chance and see." But he had added that if militant activities didn't stop, the initiative would come to a halt.